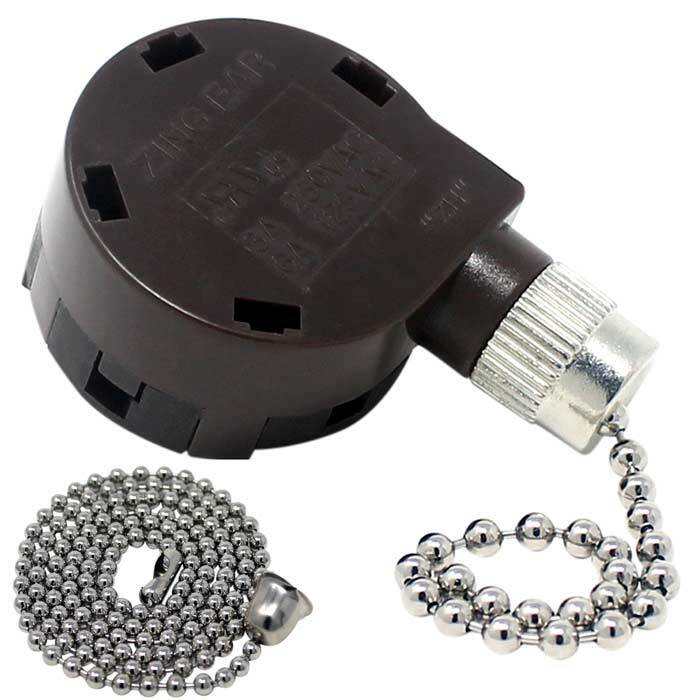 Zing Ear ZE-268s5 4 speed 5 wire ceiling fan switch provides 4-speed settings: high, medium, slow, and slowest. 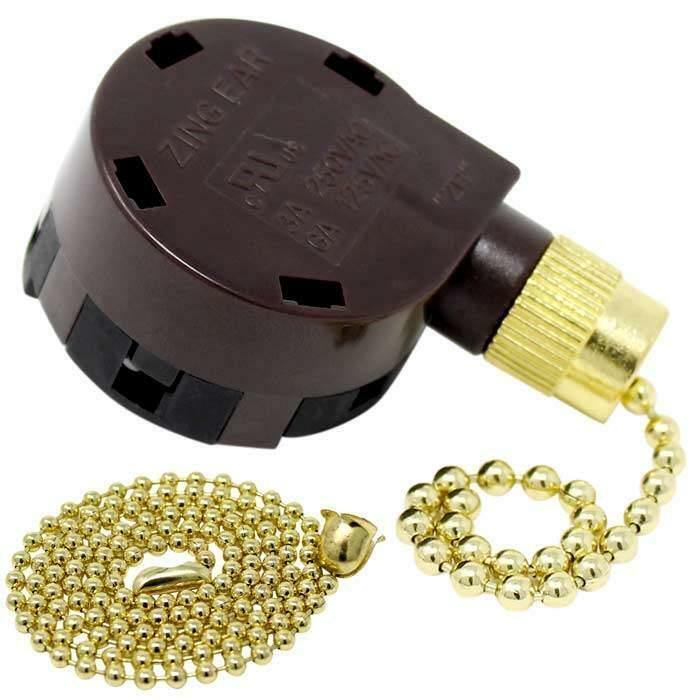 The Zing Ear ZE-268s5 4 speed 5 wire pull chain ceiling fan switch is not just a cost-effective alternative to repair your ceiling fan, but also a genuine replacement part as the majority of ceiling fans are shipped originally with Zing Ear pull chain switches. 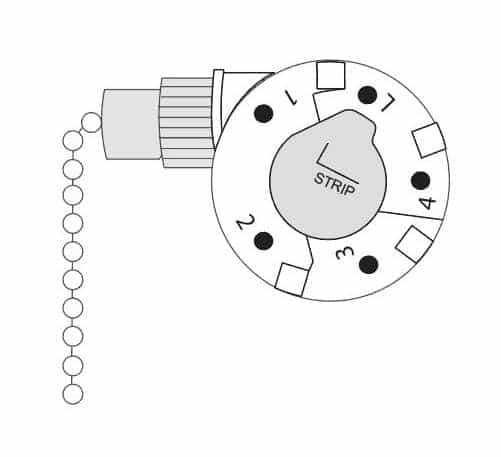 This 4 speed 5 wire fan switch triggers fan speed by tugging the attached pull chain. 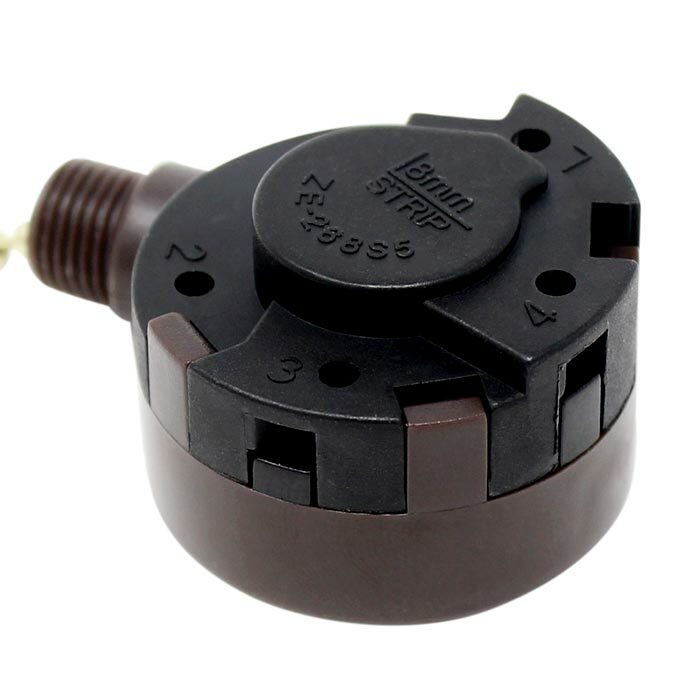 It also provides four speeds: Off, high, medium, low & lowest. 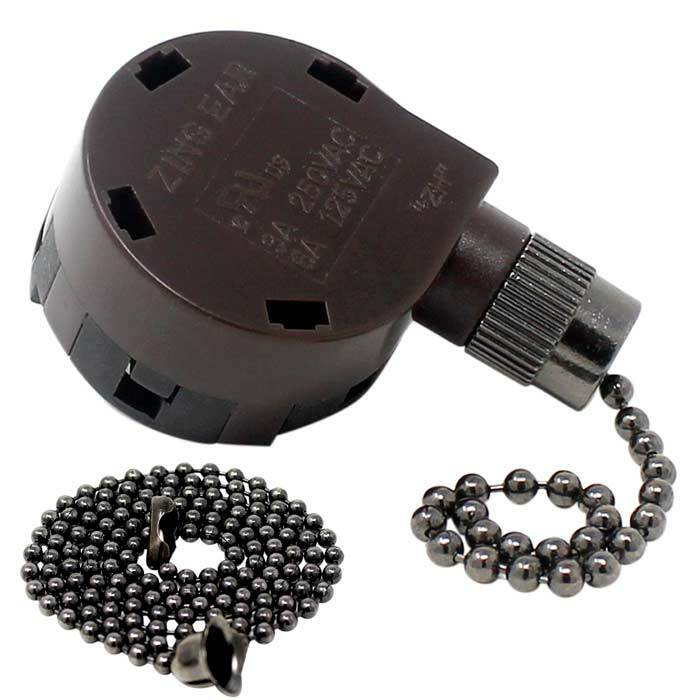 Zing Ear ZE268s5 fan switch can take 6A at 125VAC or 3A at 250VAC. 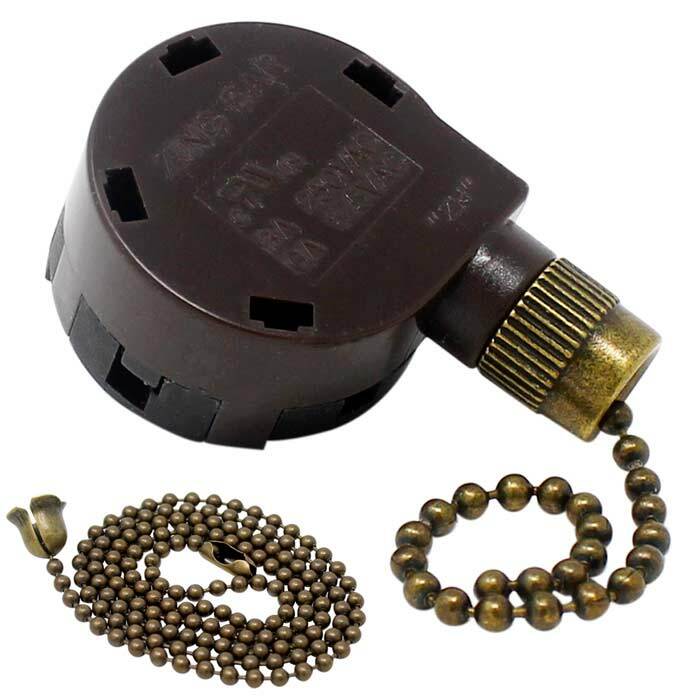 It is also UL recognized, therefore it can be safely integrated into any ceiling fan in the United States and Canada.